Taking its name from the stunning tree-lined lake in the heart of the Wairau Valley, Marlborough, our Wine of the Month for March is the water inspired Pinot Gris ‘The Nest’ from Lake Chalice. Aromas of freshly-cut pear mingle with citrus undertoneson this softly textured and beautifully balanced Pinot Gris. Lake Chalice was established in 1989 with a vision of producing internationallyrecognised wines from the heart of the Marlborough region. New Zealand’s native falcon, the ‘Kārearea’, is proudly displayed on every bottle of Lake Chalice wine.Kārearea favour the remote mountains and foothills of the upper Awatere and Wairau valleys and these valleys are home to Lake Chalice’s three unique vineyardsites. Each vineyard has a diverse microclimate, biodiversity and terroir which areseamlessly translated into multi award winning wines by talented winemaker Chloe Gabrielsen. Taking a boutique approach she handcrafts parcels of fruit from single vineyards into elegant, aromatic, fruit driven wines and has garnered a global reputation of outstanding quality. Certified ‘Sustainable Winegrower of New Zealand’. The grapes were immediately pressed to minimise skin contact followed by coolfermentation in with selected yeasts in temperature controlled stainless steel tanks, inorder to capture the desired level of fruity aromatics. 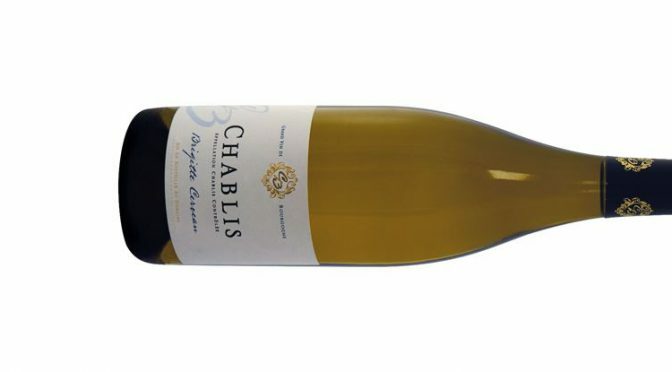 A small proportion was aged inseasoned French oak adding complexity to the wine. This wine was blended to beapproachable in its youth. 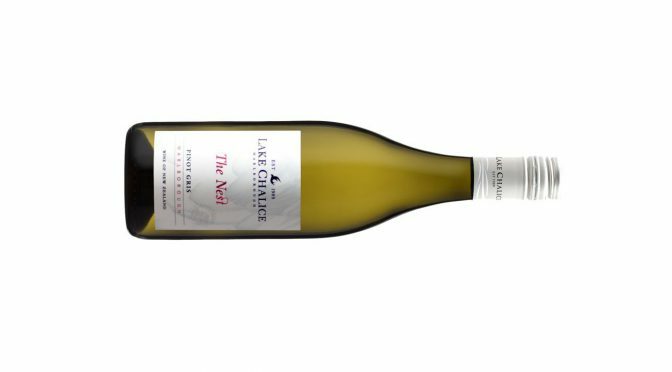 For further information on the Lake Chalice ‘The Nest’, Marlborough, Pinot Gris 2017 or any other Lake Chalice wines, please contact your account manager. We have chosen Gérard Bertrand’s Code Rouge as our February Wine of the Month, from the oldest sparkling producing region in the world, Limoux. A glass of Code Rouge is the perfect sparkling wine to help celebrate Valentine’s Day, which originates from the Western Christian feast day honouring an early saint named Valentinus, often associated with the colour rouge. An enticing floral aroma with notes of pear and citrus, refreshing and vibrant on the palate. Gérard Bertrand is one of the most outstanding winemakers in the South of France, where he owns numerous estates among the most prestigious crus of Languedoc- Roussillon. Named in 2012 as the IWC Red Winemaker of the Year and Wine Enthusiast’s European Winery of the Year, he is known locally as the “King” of the Languedoc. manually harvested and carefully transported in harvesting bins. The juice was very gently extracted using a pneumatic press, which allowed 30 to 40% of the press juice to be extracted without having to re-press. The juice was then allowed to settle prior to the alcoholic fermentation, which took place at a controlled temperature of 18°C. Meticulous blending of the various terroirs and grape varieties was then carried out, with bottling throughout January to encourage the secondary bottle fermentation. Aged on its fine lees for a minimum of three years, the Code Rouge was riddled and disgorged according to the Champagne method. For further information on the Gérard Bertrand ‘Code Rouge’, Crémant de Limoux NV or any other Gérard Bertrand wines, please contact your account manager. Kicking off 2019 we have chosen a wine that ticks all the boxes. 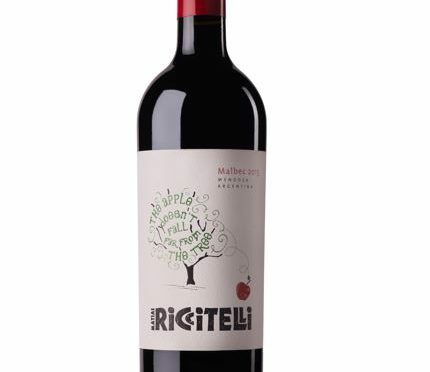 This vegan wine from award-winning producer, Feudi di San Gregorio, is ideal if you are planning on embarking on Veganuary or even if you are looking for a wine to add some fire to your shelves, from its volcanic soils. A lovely perfume reminiscent of fresh flowers, nectarine and apricot over an opulent texture and a lovely mineral bite on the finish. Basilisco is Feudi di San Gregorio’s winery in Basilicata, located in the commune of Barile, in the very heart of the Aglianico del Vulture DOCG. The vineyard sits at altitude and the vines are grown in volcanic soils, surrounded by olive trees and nourished by the warm Italian sunshine, conditions which are ideally suited to southern Italy’s flagship variety, Aglianico. The vines are farmed organically under the watchful eye of Pierpaolo Sirch and have been certified as organic from the 2015 vintage. The grapes were exclusively harvested by hand at the optimal level of maturity and ripeness for each micro zone in the vineyard. The berries were fermented in stainless steel vats under temperature controlled conditions. Following fermentation, the wine was rested on its fine lees with regular lees stirring, which added texture and complexity to the resulting wine. 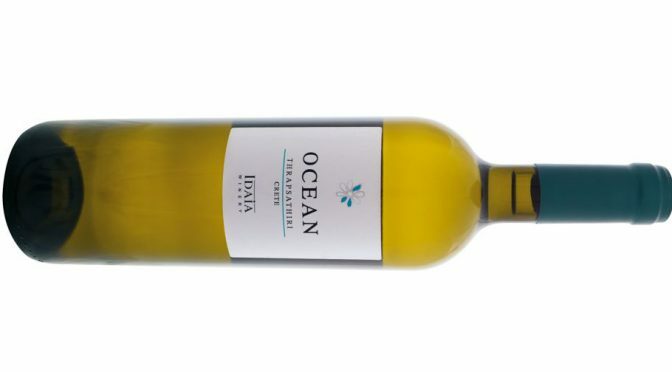 The wine was made in an unoaked style, retaining the characteristics of the Fiano grape and expressing the terroir of the vineyard. The last eruption of the Vulture volcano took place 130,000 years ago and since then nature has restored its balance, creating a terroir with extraordinary features. or any other Basilisco wines, please contact your account manager. The festive season is just around the corner and what better wine to serve with a traditional meal than a classic red Burgundy, but with a twist. From the small village of Mercurey in the subregion of Côte Chalonnaise, this is a Pinot Noir with enough rich fruit flavour and texture to delight any table. Great depth of flavour showing chunky plum fruits combined with coffee beans and a peppery finish. Domaine Gouffier owns five and a half hectares of vineyard in the villages of Fontaines and Mercurey in Côte Chalonnaise. The domain has been run by the Gouffier family for generations until Jerome Gouffier handed over the reins to his close friend Frédéric Gueugneau, formerly at La Chablisienne. Since 2011, Frédéric and oenologist Benoît Pagot have brought about a new style of winemaking to the domain. They follow an organic philosophy to create wines that are modern, approachable and affordable, but with all the style and panache of good Burgundy. They have created a collection of wines of outstanding originality, verve and spirit. The grapes were hand-picked at optimum maturity and carefully selected in the cellar. 30% of the fruit was vinified as whole bunches as the stems help to stabilise the colour and impart structure to the wine. A cool maceration was followed by fermentation in barrels of 228 litres, one third of which was new. 15% of stems were put back into the fermentation barrels to support the fruit and impart structure to this fleshy wine. Winemaker Frédéric uses oak judiciously, in order not to overpower the purity of the fruit. Domaine Gouffier has been experimenting with using oak from the state forests of Fontaine, just a few miles from the vines, endeavouring to stay true to the local terroir. 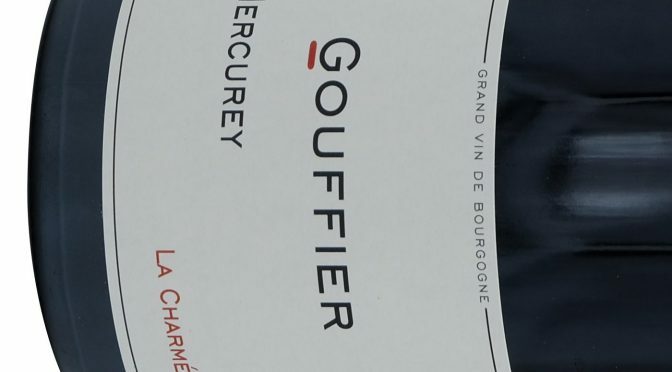 For further information on the Domaine Gouffier, ‘La Charmée’, Mercurey 2016 or any other Domaine Gouffier wines, please contact your account manager. Autumn is upon us and winter is not far around the corner, our November wine of the month is an SWA Silver Medal winner, perfect winter warmer that wouldn’t look out of place served by a warming log fire with a plate of mature cheese or decanted at the table alongside the quintessential Sunday roast. transferred to French oak barrels, one third of which was new and the wine underwent malolactic fermentation; two thirds of the wine were aged in barrels of one year. Grilled duck breast, roast beef or mature cheese. Decanting is recommended. 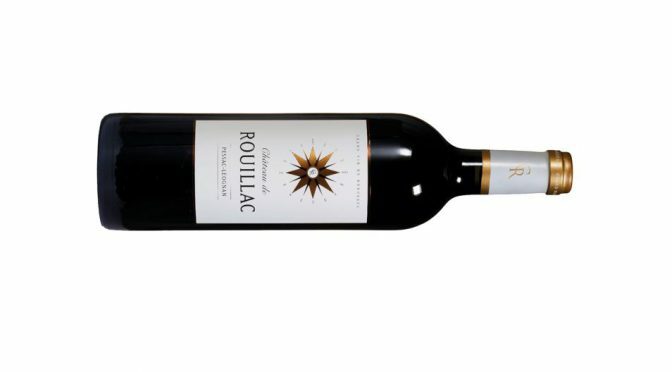 For further information on the Château de Rouillac Rouge, Pessac-Leognan 2012 or any other Château de Rouillac wines, please contact your account manager. Chardonnay. The collection includes a stunning and precise Pinot Gris, as Lindsay says anywhere capable of growing great Pinot Noir should be capable of growing great Pinot Gris. The wines pay homage to Burgundy in style and James Halliday says Paringa Estate is “one of the best, if not the best, wineries on the Peninsula”. The berries were destemmed and 5% Viognier was co fermented in two tonne open stainless steel fermenters. This was followed by 11 months ageing in French oak barriques, of which approximately 10% were new. This works well with a Morrocan influenced tagine or a traditional shepherd’s pie. 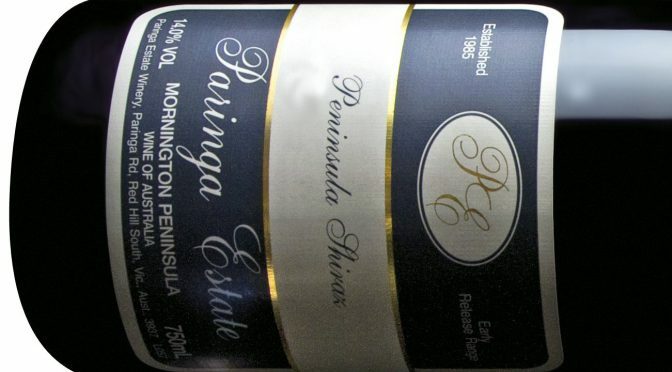 For further information on the Paringa Estate, ‘Peninsula’ Shiraz 2016 or any other Paringa Estate wines, please contact your account manager. 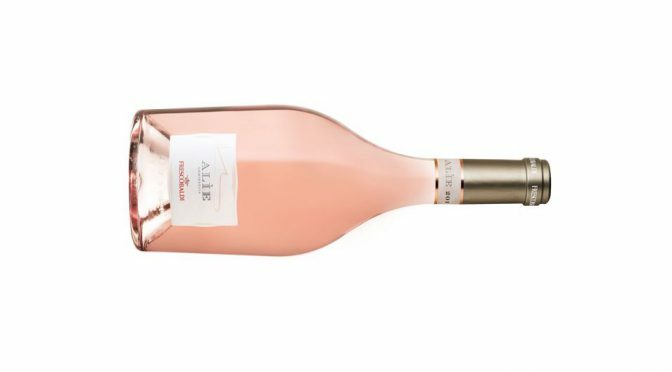 Alìe Rosé, located in Magliano in the Maremma on the southern tip of Tuscany, the Ammiraglia estate boasts 150 hectares of vineyards that blanket gently rolling hills overlooking the Tyrrhenian Sea. The wines of Tenuta Ammiraglia represent the Frescobaldi’s expression of modern Tuscan wines: influenced and inspired by the Mediterranean sun, sea and coastal breezes. The modern Ammiraglia winery, designed by the architect Piero Sartogo, is reminiscent of the prow of a ship pointing towards the sea. Perfectly integrated amid the hills and covered with greenery, it combines the most recent technological innovations with respect for the land and surrounding nature. The wines of Tenuta Ammiraglia are distinguished by the freshness, minerality and richness of the fruit. The berries were carefully selected and immediately pressed without any maceration, capturing just a hint of the colour from the skins, resulting in the delicate rosé colour. The grapes were then fermented in temperature controlled stainless steel for three months, retaining the purity of fruit and aromatic expression. The wine did not go through malolactic fermentation. 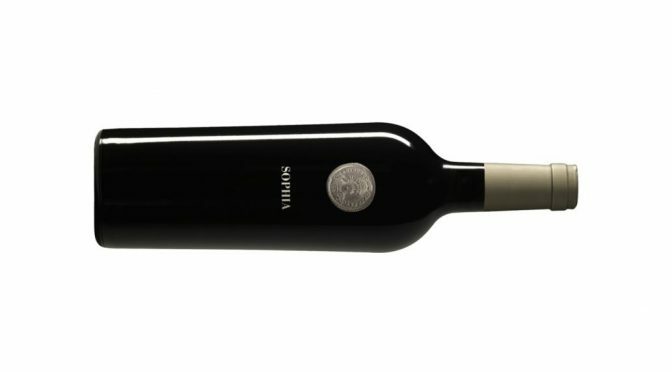 The Syrah was blended with a touch of Vermentino and the wine spent one month in bottle, prior to release. A modern style Pinot Noir full of summer pudding and cranberry flavours, vibrant and peppery on the finish. Noir, taking influence from the great old world wine regions of Alsace, Burgundy and Champagne. 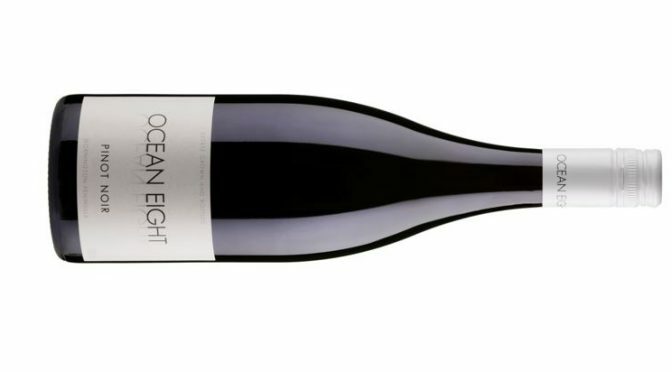 All the grapes for the Ocean Eight wines are sourced from the family’s 17 hectares of vineyard and their total production each year is just 5,000 cases. The grapes were hand-picked, meticulously hand sorted and destemmed. A cold soak took place for three to four days, prior to fermentation which took place in an open vat, using natural yeasts. Fermentation lasted for a period of four to six weeks, to maximise the aromatics. The wine was pressed to old oak puncheons of three to four years and matured in oak for 12 months. This wine was not filtered or fined prior to being bottled. Crispy duck pancakes or coq au vin. Also accompanies tuna and is ideal for sharing platters. 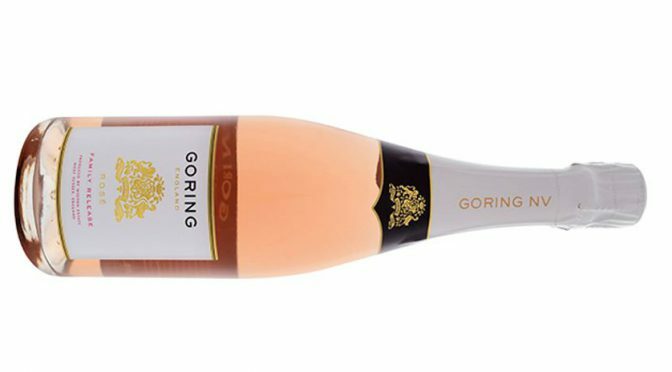 Recently picked out by Matthew Jukes for its ‘brilliant balance and calm fruit’ in his pick of the nation’s best, the Goring Estate, Rosé, Sussex NV uses fruit from two vineyards, located on the South Downs in Sussex. A supremely elegant rosé, with a subtle flavour of summer berries, freshly baked bread and spice overlaying a core of tangy acidity. Creamy and textured with a fresh finish. Dermot Sugrue is not exactly a new name in the English wine industry but he is certainly a winemaker at the top of his game. Born in Ireland in 1974, he studied Viticulture and Oenology at Plumpton Agricultural College before completing two seasons working at Château l’Eglise-Clinet and Château Leoville-Barton. In 2003 he joined Nyetimber and was appointed winemaker in 2004. Over the following years he oversaw Nyetimber’s emergence as one of the world’s greatest sparkling wine producers. From Nyetimber he moved to the beautiful, family-run Wiston Estate in 2006, nestled in the heart of England’s rolling South Downs in West Sussex, to work with the Goring Family who has owned the estate since 1743. The Goring Brut and Goring Rosé are made exclusively for us by Dermot Sugrue and take their name from the Goring family. The grapes were very gently pressed in a traditional Coquard basket press and a pneumatic press. Most of the juice was fermented in stainless steel tanks in order to the purity of fruit, while a proportion was fermented in old oak barrels of 228 litres. This proportion was then aged in the oak barrels for a period of six months, imparting subtle complexity to the resulting wine. A touch of red wine was added to enhance the colour. It was vinified using the Traditional Method with the secondary fermentation taking place in the bottle. Dosage at disgorging was 11 grams per litre.